We all know and love those trendy neighborhoods. That’s the place people covet where the homes are pretty (and usually large), streets are clean, landscaping is immaculate, schools are great and it’s surrounded by chic restaurants and shops. Residents of that area are fortunate to live there, but unfortunately for brokers and agents farming that area, it’s a challenge. The inventory of homes for sale in those markets might be extremely low, or even non-existent. And when somebody finally decides to put their property on the market, they may have lost their minds when it comes to pricing. Fortunately for brokers and agents, there are effective tools, such as a Real Estate API, that can help them create a scenario to promote adjacent neighborhoods as the “next best place” to buy. 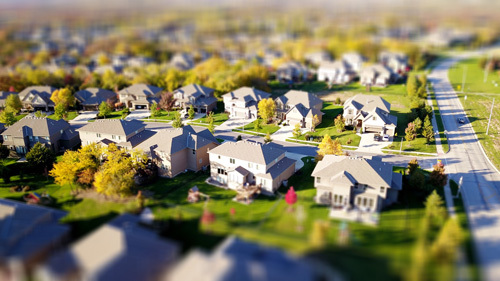 A Real Estate API is basically like a door to a giant library of relevant property data – recent home sales, trends in home prices, school information, school attendance zones, boundaries, neighborhood data, crime ratings, demographics, etc. With a few snippets of code, that door can reside on an agent’s website. On any page. Of course, it would be impossibly time-consuming for an agent to amass all this data. But there are national data aggregators such as Home Junction that gather all this information for you. They filter the information, organize it and segment it by geographic boundaries. Because if you are working on “spillover” markets, you want data not just for that zip code, but parsed all the way down to neighborhoods or subdivisions. When you have that neighborhood-specific data, you can do wonders. For example, a buyer wants to purchase a home in Trendy Oaks. But as we said, it’s likely there aren’t any homes for sale or the price of that lone home on the market is in the upper stratosphere. However, with your Real Estate API embedded on your website, a broker or agent can show home shoppers how Next Door Oaks is starting to heat up as a hot neighborhood as well. With a data feed that display Recent Home Sales in a trending chart, a buyer can easily see how home sales are starting to take off like a rocket. Another chart can show the same for prices (Better make an offer now!). School data can be another huge factor. With current School Attendance Zone data, an agent can point out how that neighborhood also qualifies for children living there to attend the same school as Trendy Oaks children. These zones are critical. And hard to keep up with. They do change, depending on shifts in student numbers. They can also be different for different grade levels. While the children in one neighborhood can attend a middle school down the street, it’s doesn’t mean they can attend the same high school as the students do next door. There’s other data as well that can be supplied by a Real Estate API. Take neighborhood demographics. An agent can use that information to show prospective buyers how the ages, incomes, family sizes, etc. of people in Trendy Oaks matches these neighborhoods next door. But what’s really cool, is that the average home prices are much less. At least for now. Hey Mr. and Mrs. Home Shopper, time to make a move. Other data points for “Places of Interest” can be the proverbial icing on the cake. Naturally, Whole Foods, Starbucks, Trader Joe’s and all the cool shops and stores are going to want to be located near the hot neighborhoods. With a geo-coded spatial plug-in, integrated with MLS listings, an agent can show buyers how certain neighborhoods are located relatively close to those trendy retail stores. Or, they can point out on a map, how some new stores are about to pop up next to new neighborhoods. A sure sign that gentrification is taking place and that area is about to become more popular. Conversely, a Real Estate API with this massive amount of hyper-local real estate market data can be a very persuasive tool when making a presentation to a potential seller. This data gives you a powerful story to tell. Distribute all these positive neighborhood attributes out to homeowners on a regular basis via social media, direct mail and even phone calls. Create top of mind awareness in homeowners that you are the agent with the local knowledge and the local data to back it up. Perception is not reality. People might want to live in that hot neighborhood and think they’ll just have to wait until something opens up. But with your Real Estate Data API supplying you with real facts, an agent can point out how there are other similar neighborhoods starting to blossom, and smart buyers will jump on board.